The 85-year-old dessert company Ralph’s Famous Italian Ices & Ice Cream is making its way back to Manhattan. The Staten Island-based dessert chain, just signed a 10-year lease for 400 s/f at 362 2nd Avenue in Gramercy. ABS Partners Real Estate’s Dean Valentino and Mark Tergeson represented the tenant and the building owner, Akelius. 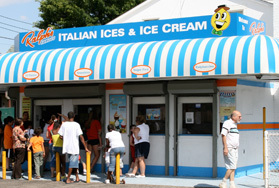 The company was founded in 1949 in Staten Island and has since expanded to more than 60 locations with over 150 flavors.